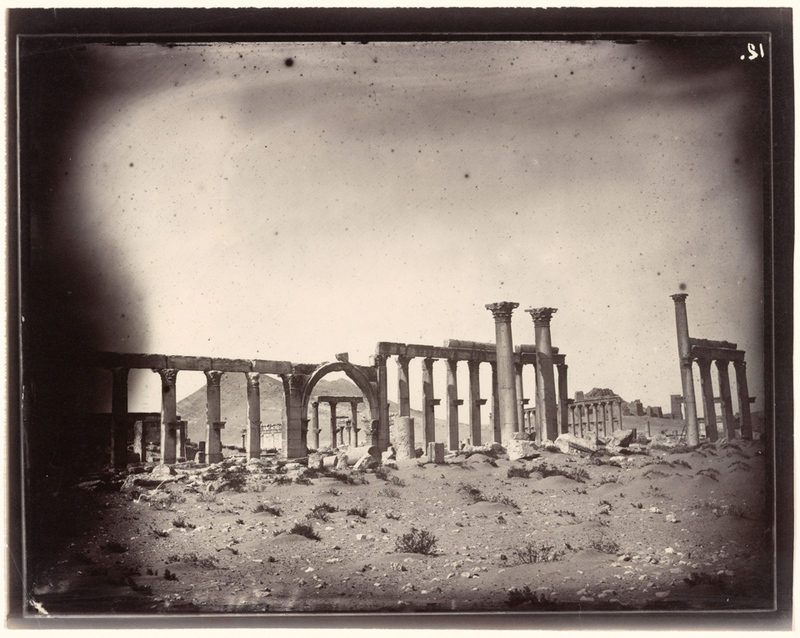 Palmyra is a city facing destruction. 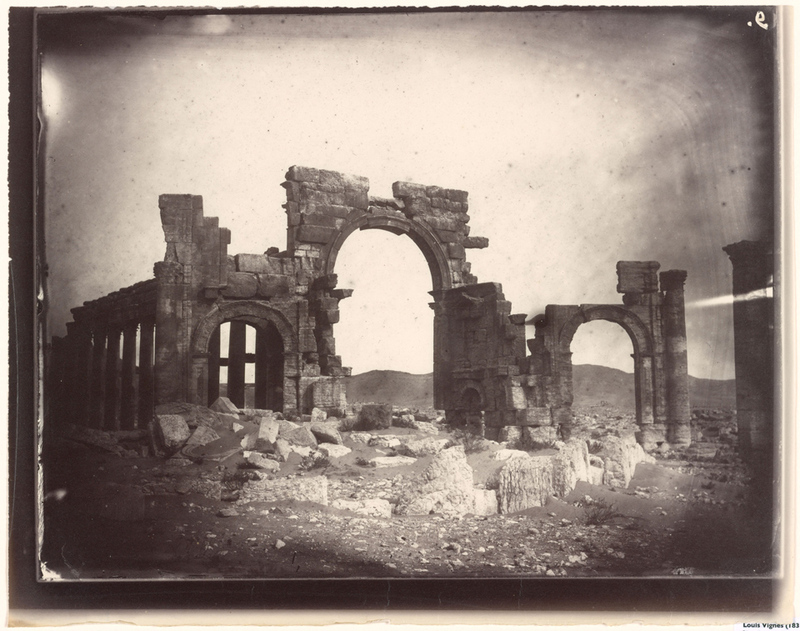 Majestic Greco-Roman ruins from 2,000 years ago have been obliterated by armed militants in the Syrian Civil War, which continues to rage on. 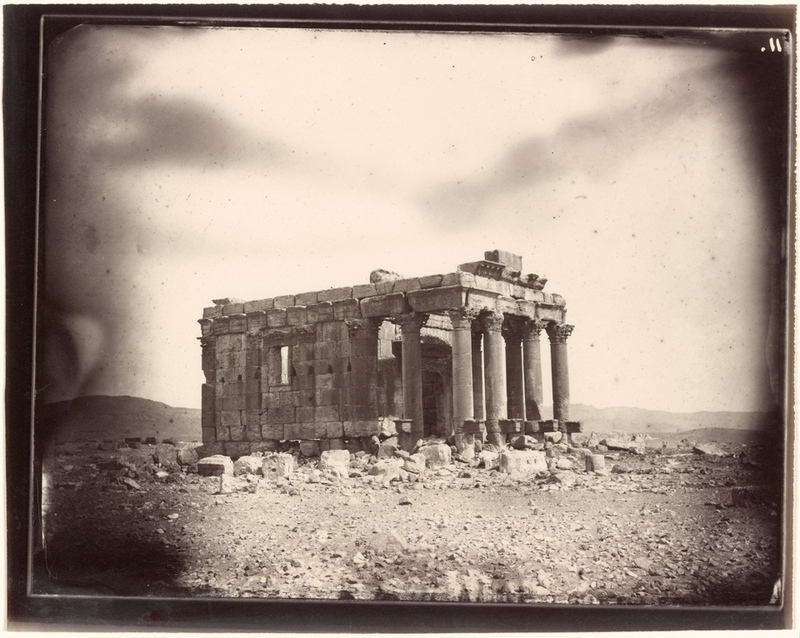 A glimpse at how Palmyra once looked—at the dawn of photography and of modern archaeology—is offered by a group of 47 nineteenth-century photographs newly acquired by the Getty Research Institute, and available for download here. 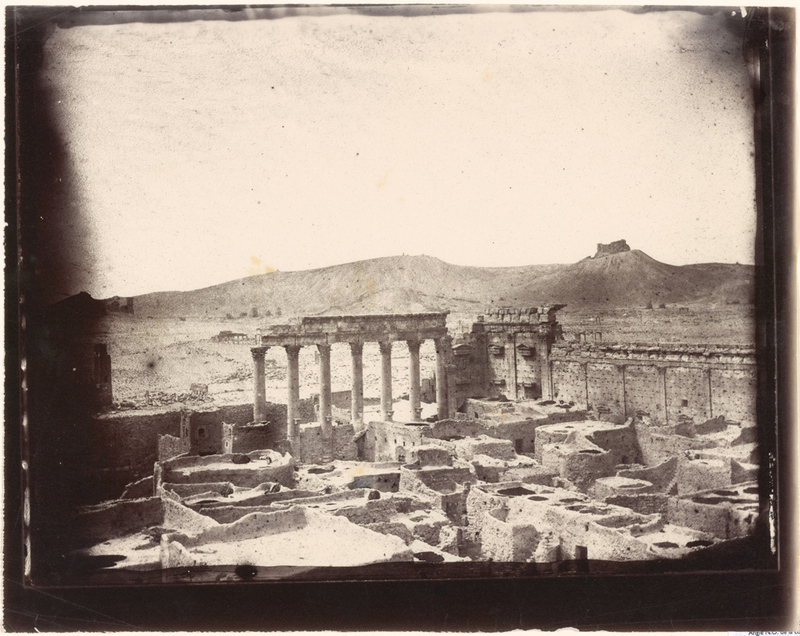 Among the prints are views of Palmyra’s 3,000-foot-long colonnade, the tombs bordering the city, and the Temple of Bel and the Temple Baal Shamin, both reportedly destroyed in recent months. 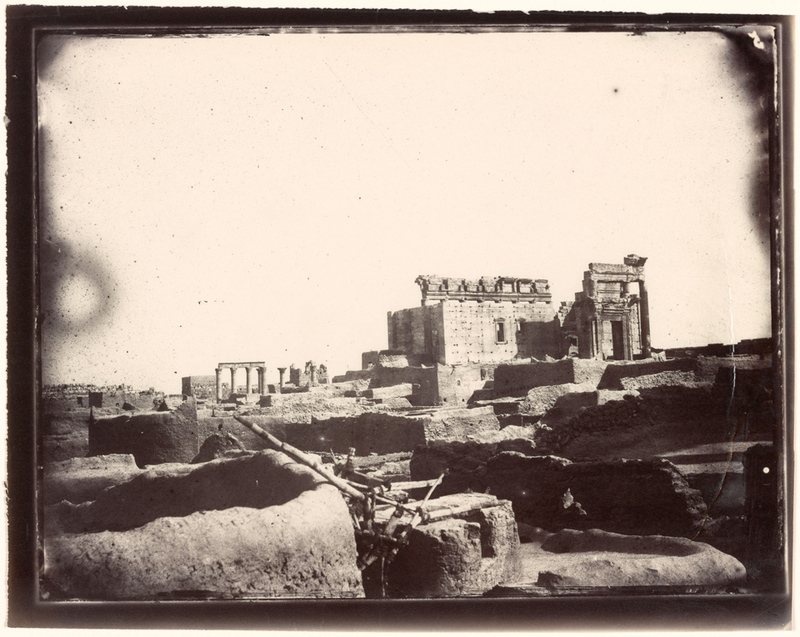 The views were captured by Louis Vignes, a French naval officer who was trained by renowned photographer Charles Nègre, and printed by Nègre himself. 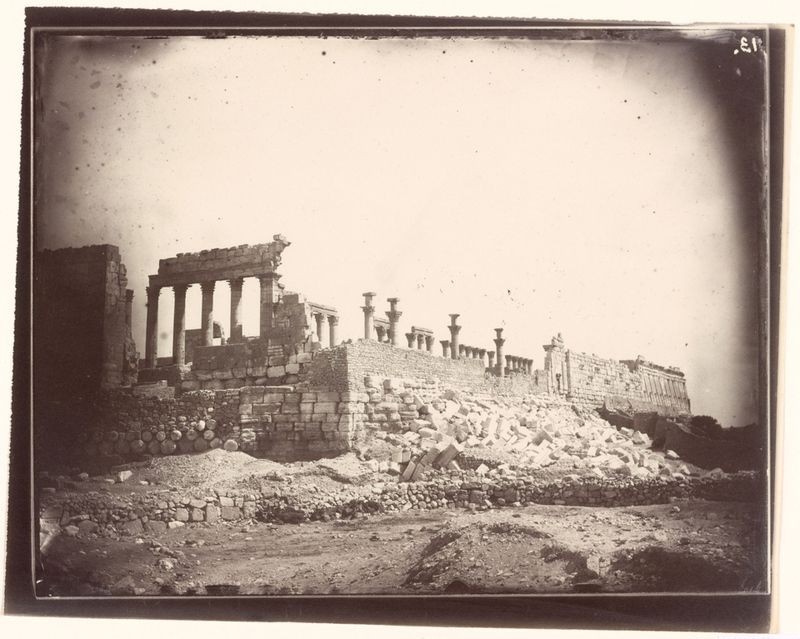 Also included in the suite of prints, Views and Panoramas of Beirut and the Ruins of Palmyra, are 14 photographs of Beirut, the most significant Middle Eastern trading center of the mid-19th century, showing it as lush, comfortable, and serene. 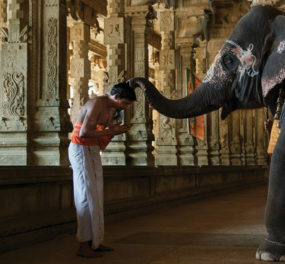 Hello, will these images be available for download (hi res) to use for classroom instruction? We would love to be to show these to students. 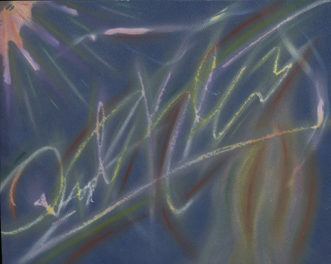 Perhaps they will be made available via ARTstor? Hi Randi, They will indeed. The original photographs are fragile and are being digitized (photographed) at the Getty Research Institute right now. 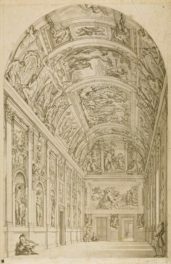 From there, the images will go into the library catalog and be available for use there. Thanks for asking!